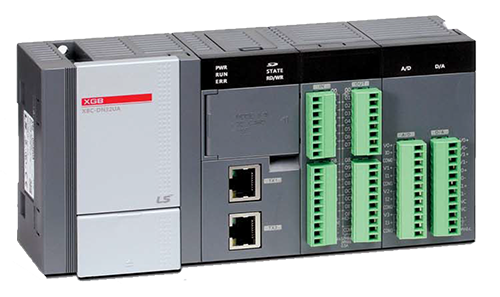 16 Input / 12 Output Relay type, with 10 Expansion Stages and ultimate built in functions such as PID, High Speed Counter, Ethernet, Web Server, Datalog, 2 channel Communication (RS-232/RS-485). 4 axis Positioning for only "P" type & 4 channel Analog Input/Output for only "A" type. 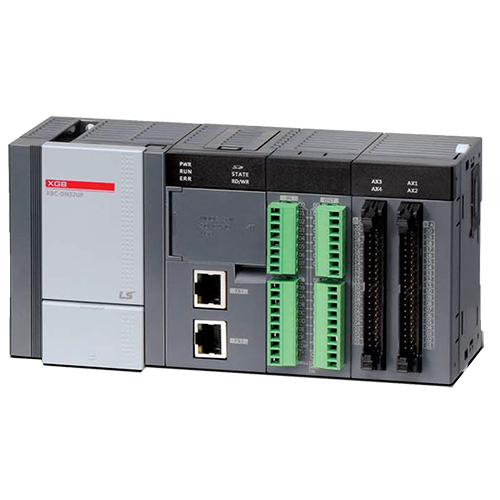 ► Built-in functions: PID control, High-speed counter (100KHz x 8 channel), Ethernet, Serial RS-232C / RS-485(2 ch), Datalog. (Data Log file download, PLC basic info, Module info, Diagnosis, Device monitering, Flag monitering, Ladder Program Update, etc..). Email service through commercial email (SMTP: Simple Mail Transfer Protocol). Time Synchronisation by setting basic parameters (SNTP: Simple Network Time Protocol). Easy parameter setup for "General Save", "Trigger Save", "Event Save" without instruction. 16GB of storable operation data. 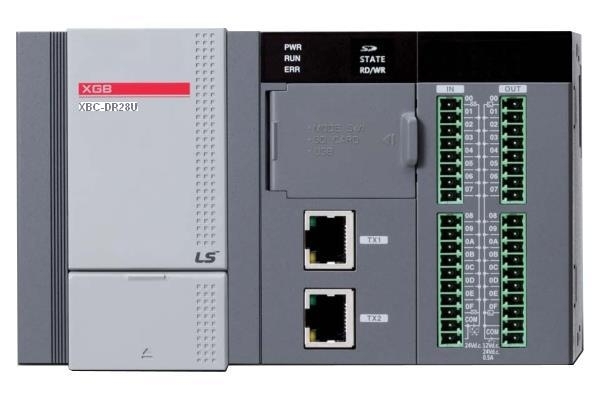 SD memory format, FTP link, Diagnosis, sending E-mail, PLC program upload/download, O/S update. 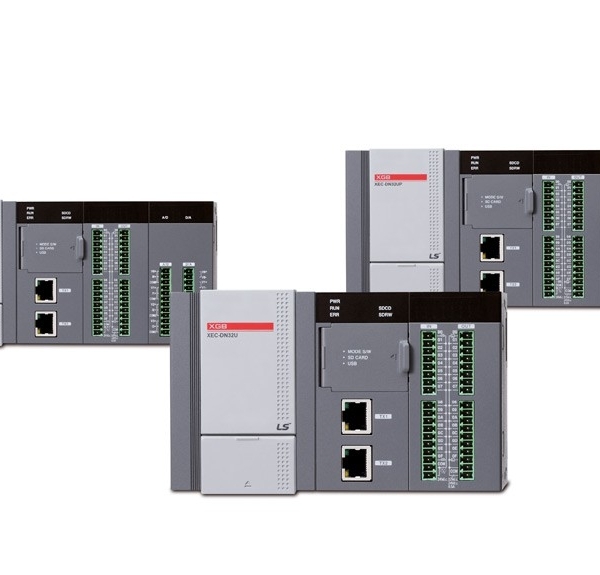 ► Input Wiring: supports both Sink & Source type wiring.